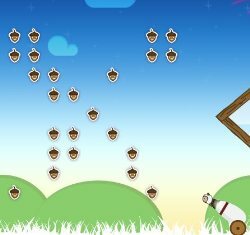 Shoot the squirrel out the cannon to help him gather nuts for the winter. 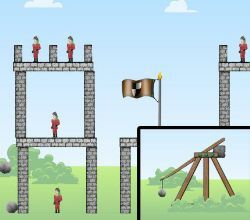 Bounce off tricky wall structures and collect all the nuts on each level to progress. 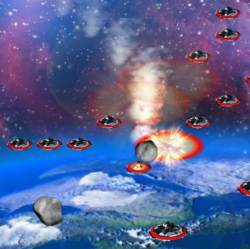 Get as many nuts as possible per shot to max out your star meter and earn mega bonuses. Reach the target score for each level to unlock new maps and look out for the BIG NUT bonus hiding in the grass. There are 25 levels to complete that range from simple maps that are just for fun, to more complex maps requiring high precision shots. 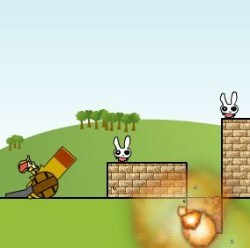 Aim using the MOUSE and LEFT CLICK to fire the cannon. Press the R key to restart the current level. Click here to send Crazy Go Nuts to your friends using your default email program.